Drumlochart Holiday Park is surrounded by a number of interesting places and activities. Below, you’ll find just a few examples of what our local area has to offer. Portpatrick is a short drive away from our park. It’s a hugely popular fishing village centred around a picturesque harbour. The harbour offers shelter to a variety of interesting fishing boats and yachts. The cliffs that encompass each side of the village are rich with challenging, visually remarkable walks. Their views stretch across to the Mourne Mountains and Ireland. Portpatrick is also home to a number of fantastic bars and restaurants. Many of these establishments specialise in fresh fish, locally produced meat, and other homemade recipes. You’re sure to enjoy browsing the souvenir and craft shops that the town has to offer. There are also 2 golf courses, as well as a pitch-and-putt. Drumlochart is ideally situated, being only a short drive to both P&O and Stena Ferry Terminals. A day trip to Ireland is highly recommended. Whether you decide to explore the beautiful Antrim coast by Coach, sample the famous whiskeys at the Bushmills distillery, visit the amazing Giants Causeway or just shop til you drop in Belfast, Drumlochart offers the ideal base in which to begin this adventure. More than 180 miles of National Cycle Network runs through Dumfries and Galloway. Whether you’re a beginner to cycling or an experienced cyclist, our area is sure to offer routes that suit your needs to the letter. Wildlife is truly amazing. Just by wandering around Drumlochart Holiday Park, you’ll encounter an astonishing variety of local wildlife. 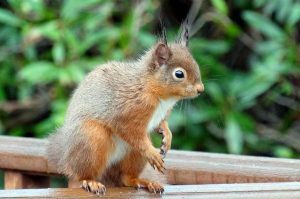 Some of the UK’s most spectacular and endangered species make their home in this area – including red squirrels, deer, red kites, ospreys, dolphins, and seals. Pony trekking takes place nearby Drumlochart Holiday Park. Daily trekking is available. We recommend that you book your visit in order to avoid disappointment. Based in Stranraer, the Ryan Centre is home to a variety of sporting facilities. This includes swimming pools and paddling pools with exciting slides and flumes. The ideal location for rainy day entertainment! Agnew Park is a sensational adventure playground. Ride on a train, paddle boats on the lake, and enjoy the exciting sand-play area. Crazy golf and go-karts are available, as well as a picnic area and shop. Driftwood restaurant also now open. Scotland is famous for its rich history. The stories of Scotland’s turbulent past are woven throughout the stories, monuments, castles, abbeys, and other historic attractions that still stand throughout the country. Many historical points of interest are just a short car journey away and offer a wonderful insight into the past.